The Arts Centre Melbourne unveiled its Melbourne Arts Walk in December 2013, calling it our version of the Hollywood Walk of Fame. 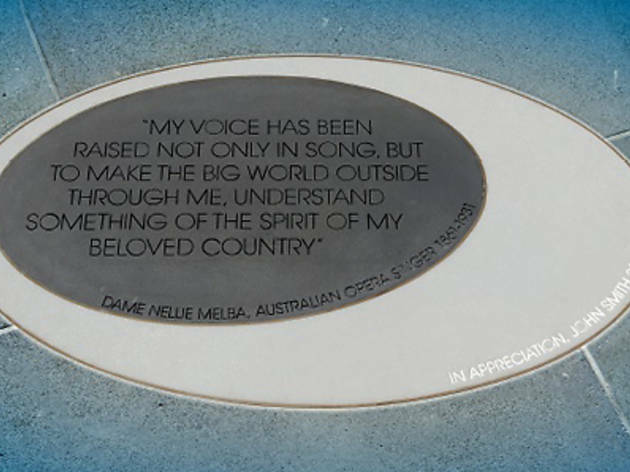 The first 19 plaques has been embedded into the pavement around the Arts Centre buildings. 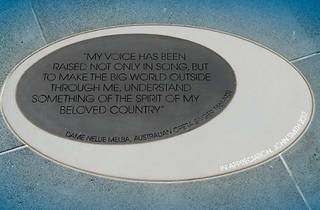 Each plaque bears a performer’s quotation relating to Melbourne and is made of bluestone, brass and granite. Performers so far include Guy Pearce, David Helfgott, Olivia Newton-John, Paul Kelly, Tina Arena, Silvie Paladino, Robert Lepage, Cliff Richard, Marina Prior and Reg Livermore.